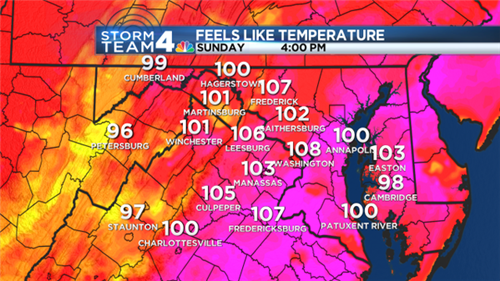 WASHINGTON – Between the heat, humidity and poor air quality, Monday will be a rough day to be outside. 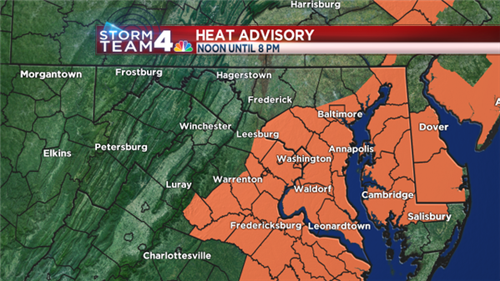 The National Weather Service has issued a heat advisory for most of the D.C. region from noon to 8 p.m. 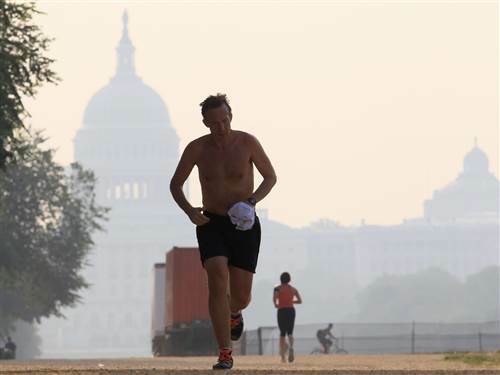 In D.C., the high temperature is expected to hit 96 degrees Monday afternoon, but the heat index could reach 109 degrees, making it dangerously hot outside. 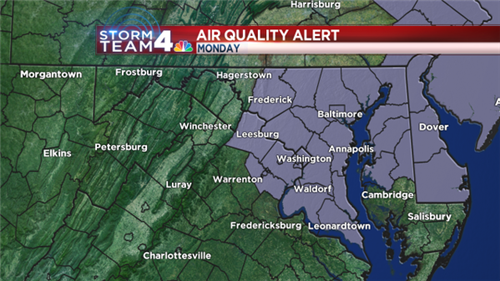 A Code Orange Air Quality Alert has also been issued for Monday meaning that air pollution levels could be me unhealthy for some groups. Children, people with heart disease, asthma patients and those with other lung conditions should minimize time spent outdoors. To beat the heat and pollution, limit time spent outdoors, hydrate and keep in mind children, the elderly and pets, all of whom are especially susceptible to the heat. 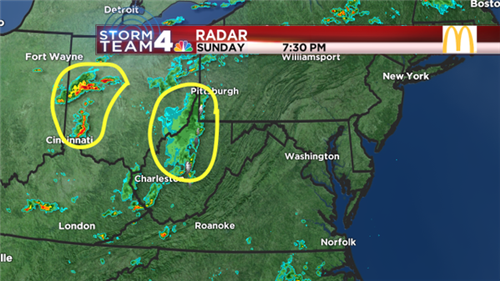 A few scattered thunderstorms are also possible this evening. 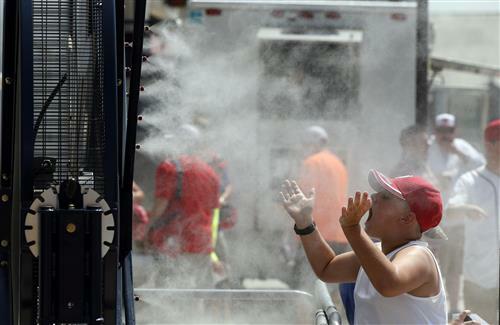 Despite the intense heat, no records are expected to be reached today (the record high of 106 degrees in D.C. has stood since 1930) and Sunday's high of 98 also did not break the record of 102 degrees. Expect a sticky start Tuesday. 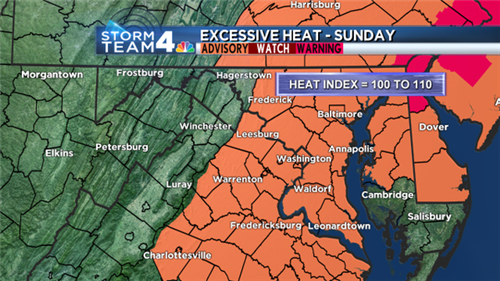 The heat will return, but will be less extreme. 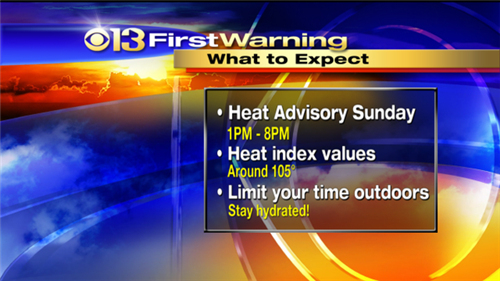 Expect highs in the lower 90s and the heat index values Tuesday afternoon will come down to around 100. Showers and thunderstorms are also possible Tuesday. The best chance of storms will come after 3 p.m. The oppressive heat will break Wednesday when the humidity is expected to drop along with temperatures. 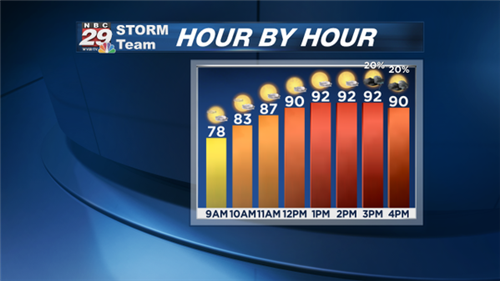 Highs will be in the upper 80s. Drink more fluids (nonalcoholic). Don't wait until you're thirsty to drink. Taking a cool shower or bath is a good way to cool off, especially if you don't have immediate access to air conditioning. 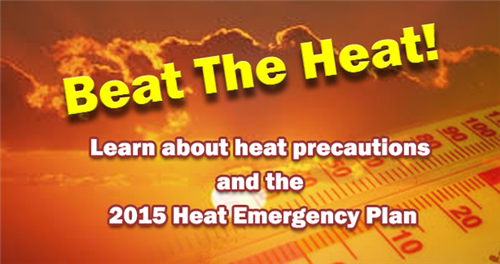 Wear a wide-brimmed hat and sunglasses, and protect yourself with sunscreen. 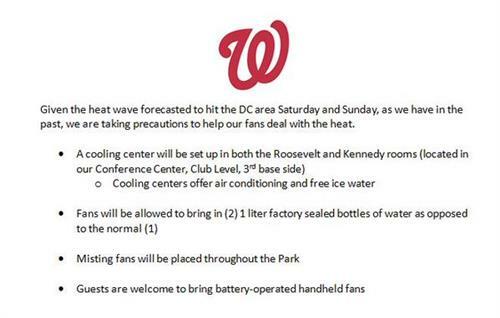 Fans will not prevent a heat-related illness. Take a cool shower or bath, or move to a room with air conditioning. 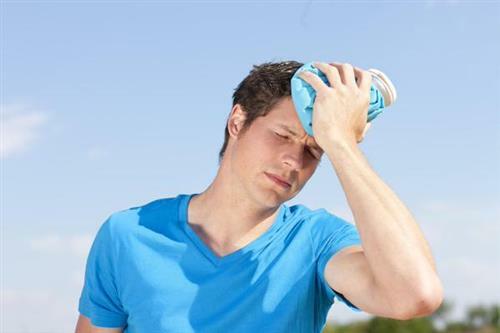 Exercising outside during a heat wave can take a toll on the body, but experts say there are ways to protect your health. out on hot, humid days. 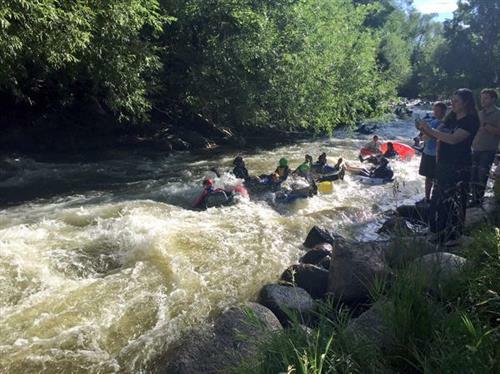 "It is smart to slow down your pace anywhere from 15 to 20 seconds a mile in warm weather." He also says what you wear matters. Cotton tends to hold on to sweat, while technical gear lets it evaporate. to be out early in the morning on steamy days. That's especially important when the air is foul. See someone struggling with the heat? Call the hotline at 1-800-535-7252. 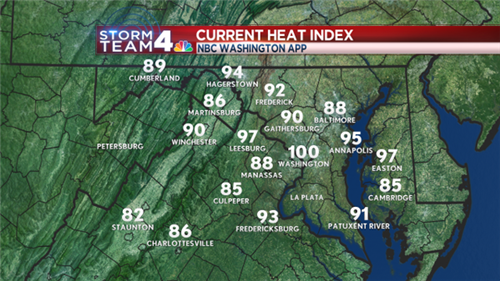 As of 1pm, some heat indices in the region are 107 at Reagan National Airport, 100 at Baltimore/Washington Int'l, & 97 at Washington Dulles. 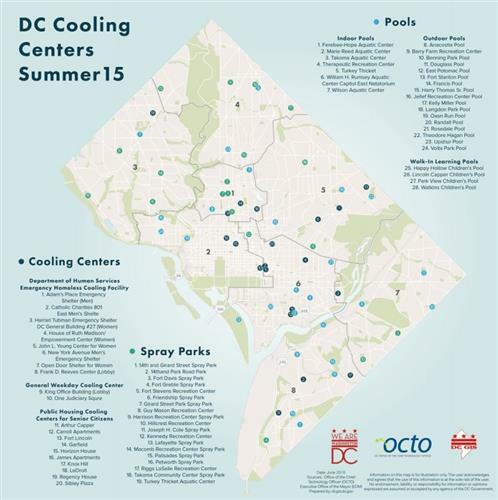 Due to high temperatures, D.C. Department of Parks and Recreation has extended the operating hours at select District pools until 8 p.m. today. Pools that are not listed will operate on their normal, individualized operating schedules. 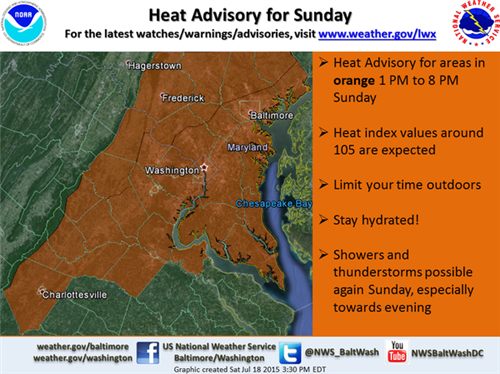 Heat Advisory has been dropped. 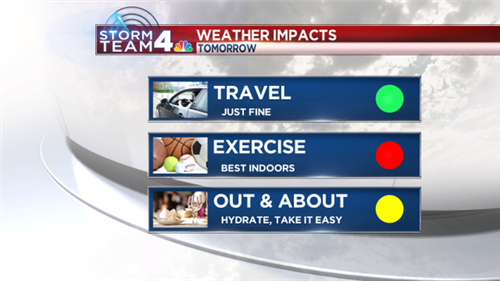 Warm & humid overnight, hot & humid again tomorrow. Sct'd showers, t'storms possible. 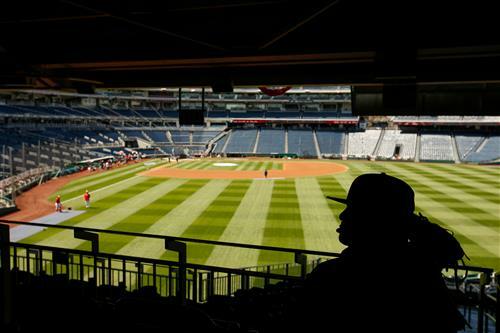 It was also Star Wars Day at Nationals Park. Click here to see photos. The Metropolitan Washington Council of Governments has issued an Orange Alert for air quality for Monday, meaning the air is unhealthy for sensitive groups (children and those suffering from asthma, heart disease or other lung diseases). WASHINGTON -- As of early Monday morning, power is mostly restored for Pepco customers after outages on Sunday. At one point, several thousand customers were out of power, mostly in Northeast and Northwest Washington. Pepco spokesman Bob Hainey says a tree limb on wires caused customers to lose power in Northwest and into parts of Silver Spring, Maryland. In Northeast, an underground issue caused an outage, and crews were working into the night to get power restored.